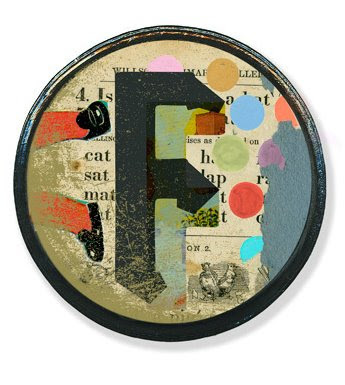 frag-ment-ed: Old School artwork now online! Old School artwork now online! Old School is in session and all the artwork from the show is now online! Wow, there is some wonderful artwork, too! These are just some of my many favorites. 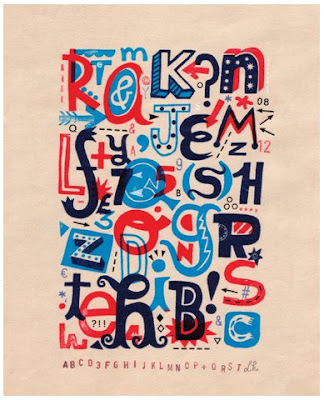 I love all the great scribbles and type in this wonderful piece by Emmanuel Polanco. It feels like something out of a sketchbook. I wish I could see it in person. This piece by Lillianna Pareira also caught my eye. Since a young age, medical illustrations have always kind of freaked me out and fascinated me at the same time. I really like the way she has combined the different pieces together in this and the way the veins extend beyond the body. I cannot help but love this piece by Linzie Hunter. 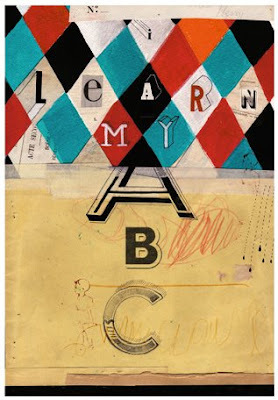 I love her great, fun letterforms, the simple color and the way the inks look on top of one another. It just makes me smile! I especially like the A, B, C, etc stamped at the bottom of the page and within the piece too. 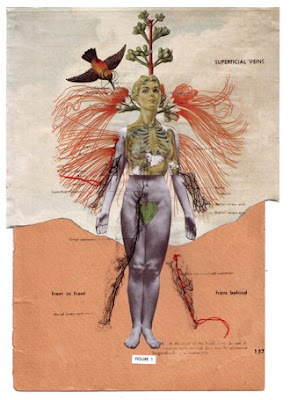 Last, but certainly not least, is this wonderful mixed media piece by Jen Renninger. The above piece is one of five pieces (A, B, C, D, E and F) that Jen did for the show and I love them all. They each tell a little story and have wonderful Old School ephemera in them. They're like little icons in and of themselves. *All images taken from the Old School Gallery on UPPERCASE. Thanks so much for adding one of my 'grades' into your post!! I'm totally honored, even more so because I'm such a fan of your work!